You may have come across water bottles that come with a filter and may be excited about it thinking that your worries regarding drinking pure water during your adventure trips are gone. Just like anyone you too may be very keen on what you eat and drink when you travel and clean and healthy drinking water is the most important factor to consider. This is quite natural and understandable because when you drink unclean water it will surely cause havoc for your health. It has been noticed in the last few decades that the bottled water industry has made a significant impact, huge progress and large profits by marketing fresh water in a bottle. These are so easily and conveniently available on the market that even people working in the water treatment industry use it while they are on trips, at work and in the gym. However, the downside of this bottled water is concern about the plastic material that the bottle itself is made of. As it is, plastic can take about 400 years or more to degrade and it is not news to anyone. What is more alarming is the fact that every year about 38 billion plastic water bottles or even more end up in the landfills. This eventually has a drastic effect on the environment. With the growing concern over the environmental impact of the plastic water bottles, researchers worked day and night to find a solution to this degradation as well as carrying water problem. To help the environment and the people, they came up with a more practical concept that will prevent the people from buying plastic water bottles. This alternative solution to such a dilemma seems to be a water bottle that comes with a built-in filter. 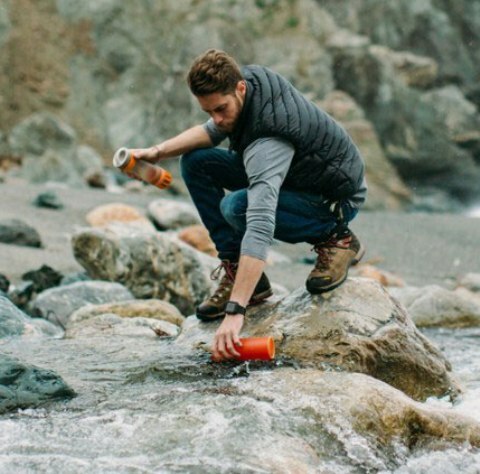 · Using this water bottle with a filter you can filter ordinary tap water over and over again. · These bottles will not only save the planet but will also save a lot of money. It is the built-in filtration system that removes the chemicals and other contaminants from the ordinary water. The design of these filter water bottles manufactured makes it safe to use. Of late, these filtered water bottles are becoming gaining in popularity. Due to this popularity, there are several known water purification companies such as by fill2pure.co.nz that have started manufacturing their own versions of such bottles. · Few can help only in the disinfection process of non-potable water. With all these benefits provided by these water bottles with filter, these have proved to be a useful solution to those people who travel a lot and also for those people who find access to clean and healthy water is impossible.